God had repeatedly promised it. Men, women, and angels had long anticipated it. Now, in Jesus, it happens. God is with us. 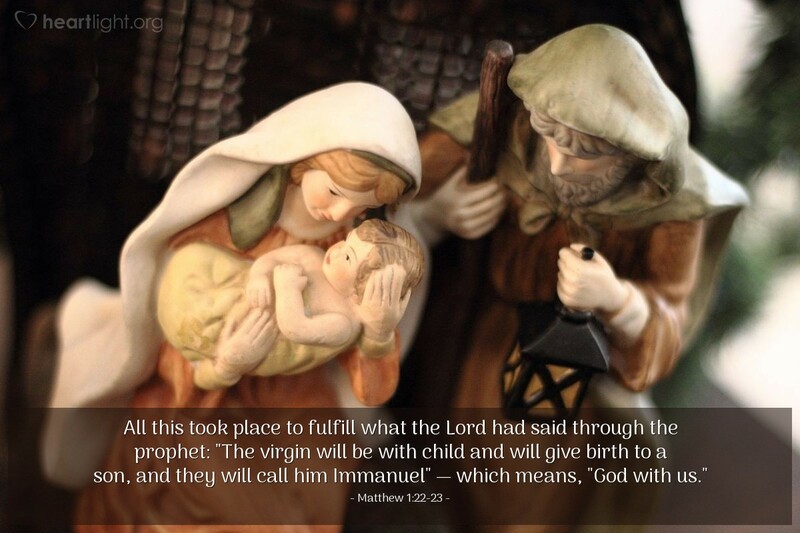 Jesus is Immanuel. We live on a visited planet, touched by the very presence of God among us. And it was just as the prophets of old had said. LORD God, my heavenly Father, thank you for keeping your promises, especially when it was so incredibly costly for you to do so. I want to know you better, O God, not just as someone I study, but as someone I encounter in my daily life. Please make your presence known as I seek you. In Jesus' name I pray. Amen.